Duke and Virginia traded blows all game long in an exciting Saturday matchup. Although the Cavaliers entered the game as the nation's only undefeated program, the Blue Devils held the highly coveted No. 1 ranking, despite their two losses. Duke claimed a 72-70 win in the end, but Virginia didn't go down without a fight. Here are three takeaways from Duke's win. The Cavaliers are far superior when it comes to shooting 3-pointers, but they couldn't seem to find their shooting stroke. Virginia only connected on three of its 17 shots from behind the arc, despite shooting 40.8 percent from range for the season. Duke was equally bad, converting two of 14 attempts. The difference is, the Blue Devils were shooting 31.8 percent from range entering the game. Virginia's failure to capitalize on its strengths hurt the team. 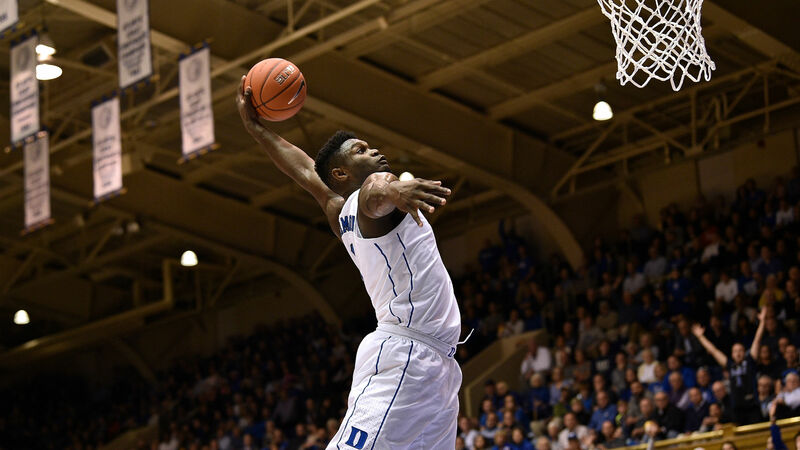 Zion Williamson and R.J. Barrett attacked the rim with reckless abandon. The two combined for 57 points on 21-of-35 shooting. Only two of their baskets came from outside the painted area. Virginia put its best help defense forward, but the physicality and athleticism of Duke's stars was overpowering. Duke and Virginia totaled 14 assists combined in the contest. The Blue Devils were without their best passer Tre Jones, who was out with a shoulder injury. Jones is averaging 5.7 assists. Ty Jerome leads the Cavaliers in assists, averaging 4.9. He recorded four in the game, but none of his teammates tallied more than two. Virginia just didn't have the kind of one-one-one talent Duke had at its disposal. The Blue Devils improved to 15-2 on the season while the Cavaliers dropped to 16-1. These ACC powerhouses will meet again in Virginia on Feb. 9.